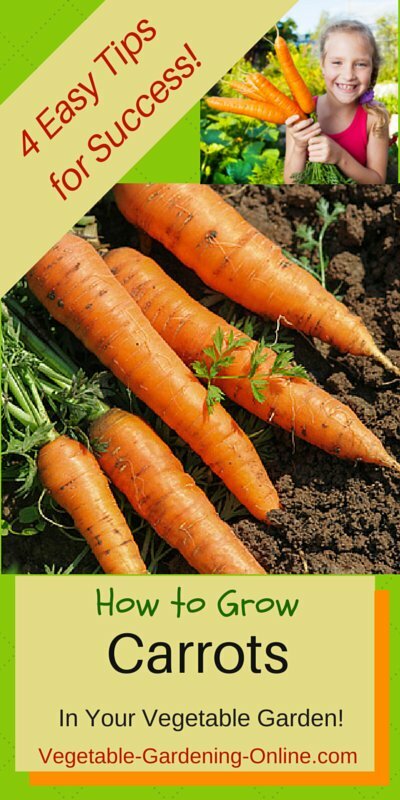 Use our free plans for growing carrots, and learn when and how to plant carrots from seeds at home. 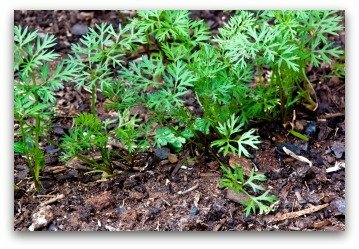 Are you wondering how to plant carrot seeds that will grow straight, sweet carrots in your vegetable garden? 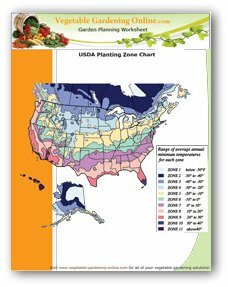 Use our free planting guide and zone chart for planting carrots! 1. If you want to grow long, straight, slender carrots, it is necessary to provide soft, fertile, well-drained soil for them to stretch their root downward! If your soil contains too much clay, your carrots will be short and deformed, and difficult to pull from the ground at harvest time! 2. Provide adequate water throughout the growing season. 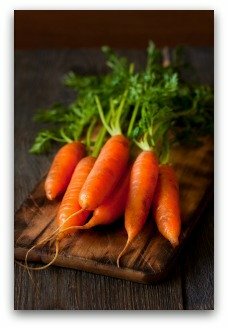 Bitter-tasting carrots are usually the result of not enough water. 3. It is also important to thin carrot seedlings to the proper spacing, as over-crowding will deform your carrots! 4. Choose a variety of carrot seeds that will produce long, straight carrots if that is what you prefer to grow! 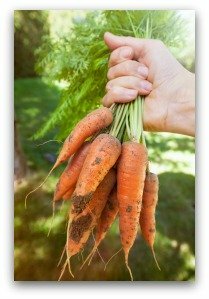 Growing organic carrots in a home vegetable garden is a great way to boost your supply, whether you like to crunch raw carrots right out of the ground or slow cook them to perfection in soups and stews. Carrots are very easy to grow organically, and there are so many varieties available that it is hard to choose which one is best. 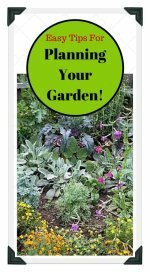 You might end up trying two or three varieties in your garden whether it be a traditional in-ground, raised bed, or container vegetable garden. 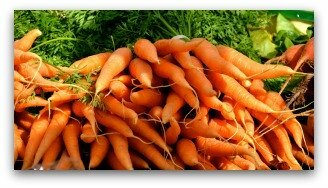 Carrots love to grow in rich "friable" (soil which crumbles easily in your hand) soil with lots of added organic fertilizer. Carrots don't require much space in the garden, so they are a perfect addition to even a small home vegetable garden! 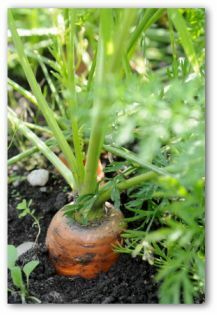 Carrots are a great vegetable that is very easy to grow in the garden from seeds, even for a beginner. So let's get started! In-ground gardens are not necessary for growing carrots; this vegetable can be grown easily in a container garden. An 18-inch pot can hold twice as many carrots as you would think possible. Most carrots have root systems 6 to 10 inches long, so containers do not have to be very deep. A depth of 12-18 inches should be sufficient for most carrot varieties. The number one requirement of container vegetable gardening is to keep your plants well-watered and fertilized. Thoroughly soak the surface soil as it begins to dry. Good drainage is also very important. Whether you use wooden boxes, half-barrels, or clay pots, make sure the water drains properly! Growing carrots in containers need rich fertile potting soil with added compost, or frequent feeding for best results. Vegetables do best fed with a half strength solution of 20-20-20. Mix ½ tablespoon to a gallon of water and drench the soil with every application. They also like liquid fish fertilizer applied every 2-3 weeks. 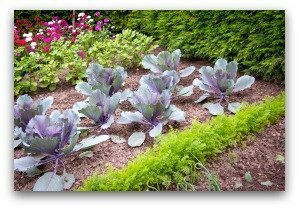 For easier access vegetable gardening, a small raised bed of 4 feet by 8 feet is ideal if you lack garden space or experience soil drainage problems. Rounded types of growing carrots have ball shaped roots that grow well in compacted dense soils such as clay. Carrots are available in a variety of shapes, sizes, and growth habits. Select the best suited for your soil conditions and cooking needs. To guarantee a constant supply of carrots, plant 5 to 10 foot rows every 3 to 4 weeks, late spring through mid-summer. Grow long tapering varieties in well-drained organically enriched soil. Plant shorter stubby to rounded kinds in clay or rocky soil. 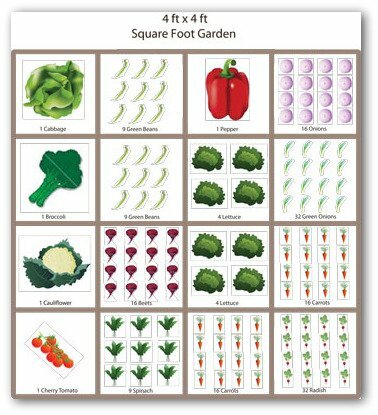 Use our planting guide and zone chart to determine when to plant your carrot seeds in the ground. 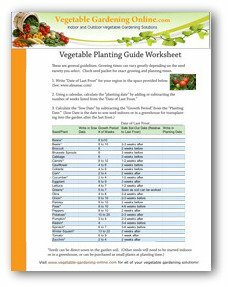 See our planting guide chart for when to plant carrots. Carrot seed germination takes place in 7-10 days. Cover seeds with ½ inch of loose soil or vermiculite. Vermiculite helps mark the rows. Carrots can be slow to germinate and many gardeners plant radishes in the same row. The radishes are harvested before the carrots need the space. 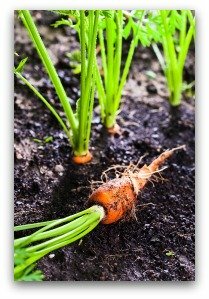 Keep the in-ground garden soil moist to speed germination and prevent the growing carrots from drying out. Gardeners with drip irrigation can also feed with liquid fertilizer as they water. Thin Carrot Seedlings so that They Have Room to Grow Properly! Spacing between rows requirements are 16-24 inches. 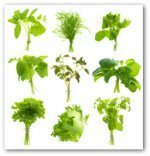 Plant with a space between plants of one to three inches at a depth of ½ inch, or thin carrot seedlings after they sprout. This is important, as if your carrots are crowded, they will not be able to grow straight and round! Mulching reduces the need for watering by holding in moisture and prevents maturing carrot roots from cracking. Anything that disturbs development of the main root will cause branching. Growing carrots survive frosts and light freezes. Feed lightly every several weeks. To promote root development, use 6-6-6 fertilizer or a product lower in nitrogen. Root crops such as carrots benefit from an extra dose of potassium. Spread potassium chloride down each row a couple of times during the season. Time released fertilizers are more economical and make the chore much easier. Major pests are caterpillars, leafhoppers, and nematodes. However, most carrots do not seem to have any problems with pests. From planting of seeds to harvest is an average 65-80 days. Carrots can be harvested from young to mature stages depending on your preference. At harvest time, it is okay to sneak a peek at the growing carrots. 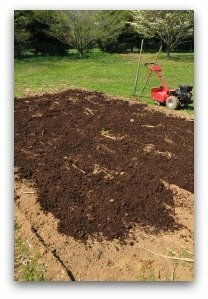 Push the topsoil away to check the size of forming roots. When finger size, the baby carrots can be thinned and eaten. Harvest remaining crop when roots are less than 1 ½ inches in diameter. As you can see, growing carrots is quite simple in a home vegetable garden. You will love serving your own delicious home-grown carrots in a fresh salad, or gently steamed as a side-dish. Nothing is better than fresh steamed carrots with a bit of fresh chopped parsley from your garden, and a bit of added butter. When planning a vegetable garden, be sure to include a row of carrots in your garden layout. No vegetable garden is complete without carrots!